Welcome to Agora Advisors, Inc.
David Contis has over 35 years of experience in real estate. 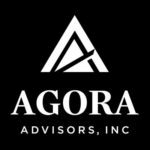 Prior to founding Agora, David was the President of the Mall Platform of Simon Property Group (NYSE:SPG) from 2011 to 2017, President of Real Estate of Sam Zell’s Equity Group Investment, LLC., from 2007 to 2011, Chief Operating Officer of The Macerich Company(NYSE: MAC) from 1997 to 2006 and held various roles at Equity Group Investments from 1981 to 1997 including Vice Chairman of the Company’s mall platform, EVP of mall development, SVP of Asset management, Attorney and Internal Auditor. David currently serves on the Board of Directors and Audit & Compensation Committees of Equity Lifestyle Properties (NYSE:ELS) since 2009 and Acosta Verde since 2017.